A line of symmetry creates two congruent figures that are mirror images of each other. Look at the shapes above. The lines of symmetry are shown in red lines. Let's look closely at the trapezoid and the square. 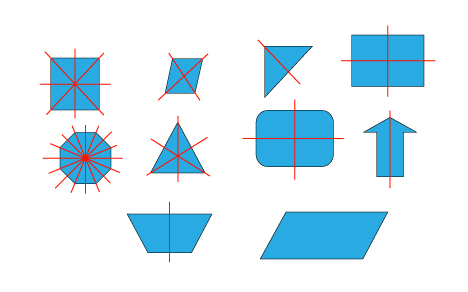 How many lines of symmetry do each of these quadrilaterals have? Enter your answer below. That's right! The trapezoid has only 1 line of symmetry, while the square has 4. Now that we know about lines of symmetry, let's take a look at capital letters in the alphabet. Look closely at the letters above. Inspect them closely for any lines of symmetry. Which letters have zero lines of symmetry? Which letters have one line of symmetry? Which letters have two lines of symmetry? Enter your answers below. That's right! 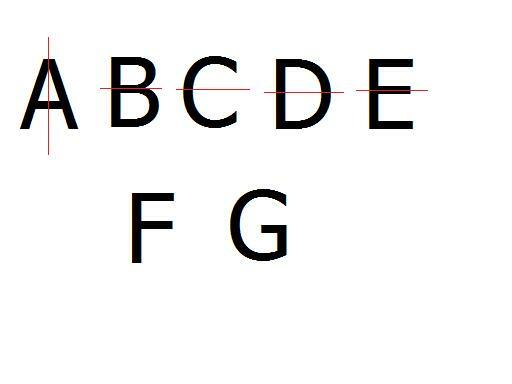 The F and G have zero lines of symmetry. Those letters cannot be folded in half in any way with the parts matching up. 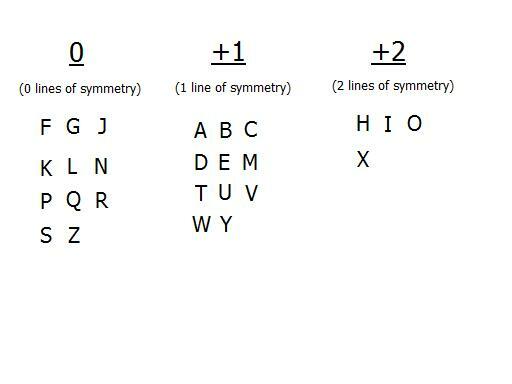 The rest of the letters, A, B, C, D, and E all have only 1 line of symmetry. Notice that the A has a vertical line of symmetry, while the B, C, D, and E have a horizontal line of symmetry. Let's look at some more letters! How about the letters H, I, J, K, L, M, N, O, and P? Think about whether any of these letters might have 2 lines of symmetry. Which letters have zero lines of symmetry? Which letters have one line of symmetry? Which letters have two lines of symmetry? Enter your answers below. That's right! J, K, L, N, and P have zero lines of symmetry. M has one line of symmetry, and H, I, and O have 2 lines of symmetry. Did you get them all right? Let's look at Q, R, S, T, U, and V. Do you see any lines of symmetry here? 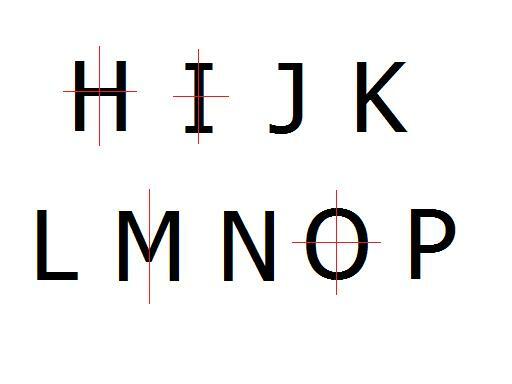 Which letters have zero lines of symmetry? Which letters have one line of symmetry? Which letters have two lines of symmetry? Enter your answers below. Right again! 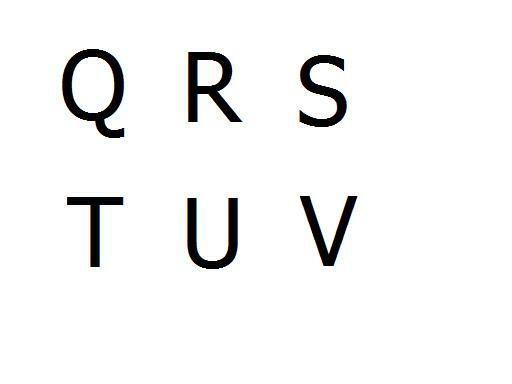 The Q, R, S are not symmetrical, so they have zero lines of symmetry. The T, U, and V are symmetrical, but they each have only one line of symmetry. None of these letters has two lines of symmetry. Now think about the last letters of the alphabet! Inspect the letters above. Do you see any lines of symmetry in any of them? Which letters have zero lines of symmetry? Which letters have one line of symmetry? Which letters have two lines of symmetry? Enter your answers below. That's right! The Z is has no lines of symmetry. The W and Y have one line of symmetry. The X has two lines of symmetry. Now let's play a game with our Alphabet Symmetry. 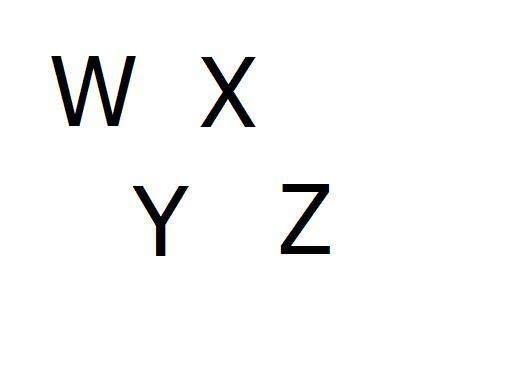 Let's review the Alphabet Symmetry with the chart above. Based on the number of lines of symmetry a letter has, that's how much the letter is "worth". Letters with zero lines of symmetry are worth zero points. Letters with one line of symmetry are worth one point. Letters with two lines of symmetry are worth two points. 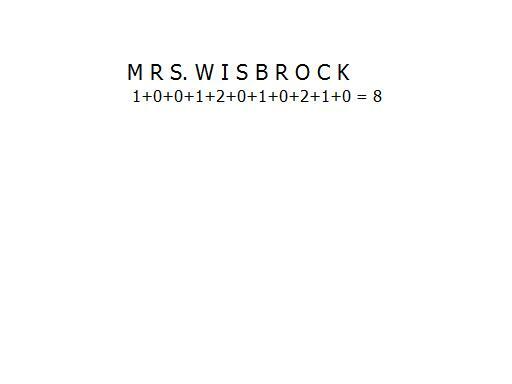 Do you think you can find out how much my name is worth (MRS. WISBROCK)? Use the chart above and enter your answer below. Did you come up with a value of 8 for my name? You can see above how much each letter was worth. Then I added them all together. Now, let's find out how much your name is worth. Find the value of your name now. Use the chart above to help if you need it. Enter your answer below. Then ask your mom, dad, or teacher to check your value. I hope you learned alot about symmetry, and I hope you had fun!